In the earlier video I talked about pricing. Different pricing strategies and ways you can consider when trying to arrive at the price that is ideal for your service. In the past I learned a valuable lesson about profit. Often times I would speak with the client grasp the scope of the project, and then develop a price based on that. Months later tour the end of the year I would find that what I priced in what I got to take home with two very different things. I remember when I first received my first four figure out payment from a client. It was about $1000 and I was overly excited. This is the first time somebody paid me for work in the thousands. I created a website and graphics for them and they were satisfied enough to pay me the amount. I begin to think for a moment and wonder if I should charge all of my clients at least $1000 when it came time to working on a website for them. At the time $1000 seems like a nice round number that wasn’t overly high in was overall reasonably priced for the value I was giving. I then used the base price of $1000 to calculate if it was possible for me to go full time making that amount. There was one fundamental flaw with my calculations. I was assuming that if I charge the client $1000 that I profited in my business $1000 and this is not true. If I were to charge a client $1000 and they choose to pay via PayPal then I am already losing out about 3% of that $1000. The good thing about that is I can write off the fee as an expense which leaves me with $970 of profit. This is not exactly the case either because if I was truly taking home $970 then based upon what tax bracet I would lose either a 20% or 30% of that. This means I am really taking home $600-$700. Great podcast. 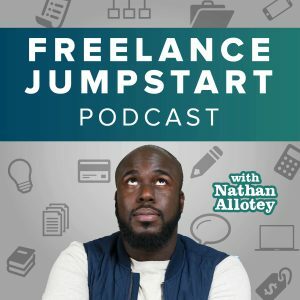 I would like to ask if you can do a future podcast on budget. When and if you ask a client their budget? Do you include budget selector in your online questionnaire or contact page? Thanks.